I maintain my position that there was nothing unmanageably wrong with this mall when I look at photos like this. The mall's management was schizophrenic in its final years. 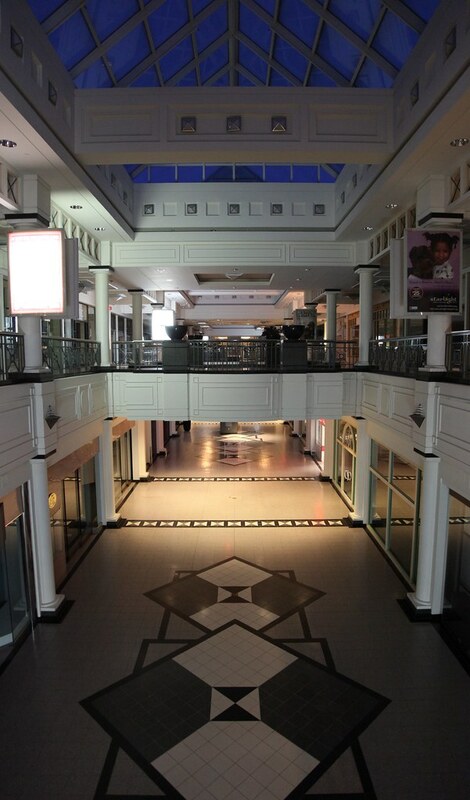 After the Palisades Center was opened in 1998, the Nanuet Mall suffered an exodus of retailers. Simon responded by leveraging its other properties by offering reduced rent elsewhere to attract large brands. For example, it was not uncommon in the early 2000s for Simon to offer reduced lease price at other more attractive properties if large retail chains agreed to put a store in the Nanuet Mall as well. I'd inquired about what their leasing terms were like back in 2008, when the mall was already 70% empty, and their offer price was unrealistic with no willingness to negotiate. So it's no wonder that so few merchants were willing to deal with it. Especially since it was clear that Simon has already abandoned its efforts to attract large brands, and had shifted into abandoning the mall entirely. I agree. I had never been to this mall wirh it was thriving, but the usual reasons for a mall dying weren't here! It was a clean, attractive mall in a nice area. The surrounding retail was thriving. Traffic is very high. It became clear Simon was just determined to kill this mall!